Pautrot was a master at portraying birds of all varieties. He created a large number of different species of birds and some of them are quite rare today. 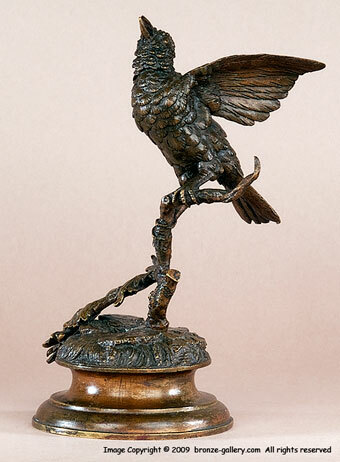 One could build a collection of just Pautrot birds and have many different sculptures. Here he has created a Song Bird on an oak branch with leaves. The detail is superb and you can see all the lines in the feathers of this small bird. 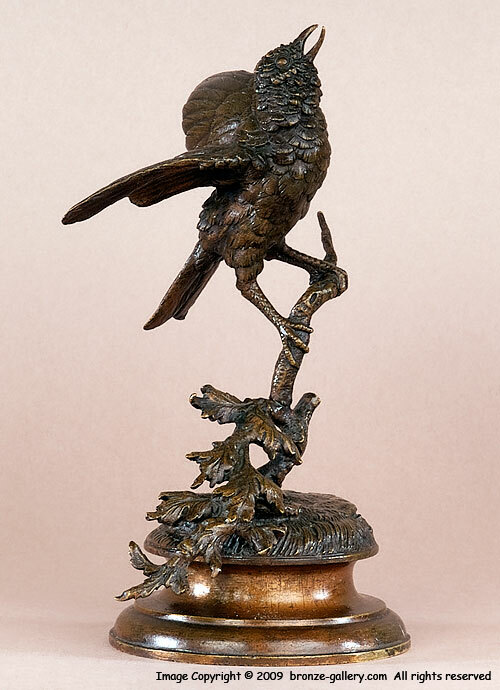 It is a fine example of Pautrot's talent in depicting bird life.